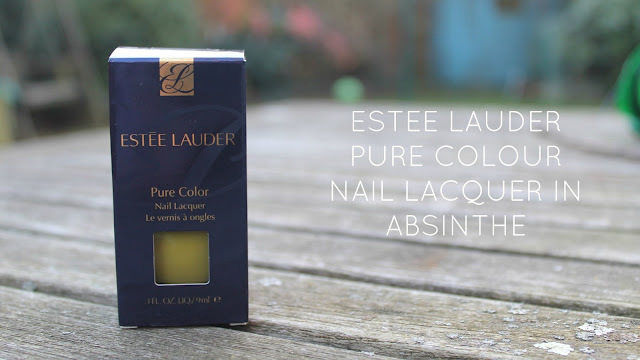 This is part of their new range of nail lacquers and it seems my Mum has most of them already! I decided to take a look at her collection and give one a go. I thought I'd try absinthe as it's a bit of an unusual colour. The product itself goes on really easily and has a very creamy consistency which is really nice to apply and have on the nails. With regards to the colour, I'm not 100% about it. It's a bit sickly green for me and I'm really not sure how I feel about it. It lasts quite well however and I know some of the other colours in the range are gorgeous and I can't wait to try the others out. What do you think of their new range of colours? I definitely don't like this colour! I agree with you that it's quite sickly, it's not something I'd wear.